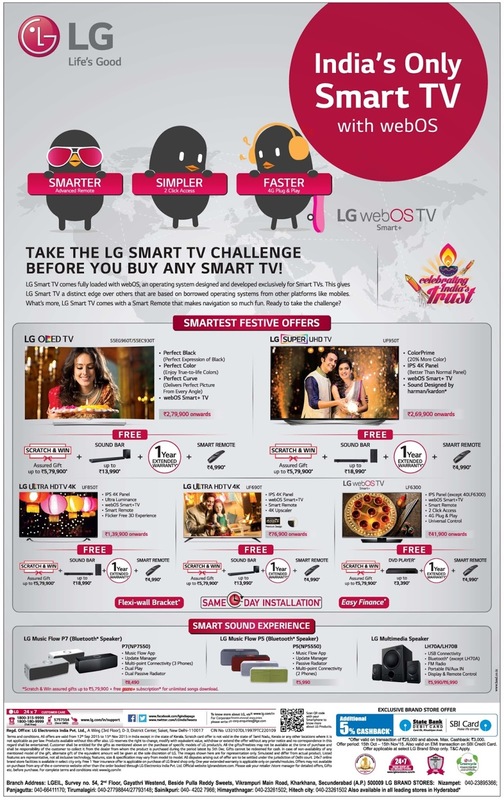 Lg is Inida's leading brand in electronics segment and now its launched India's only smart tv with webos. 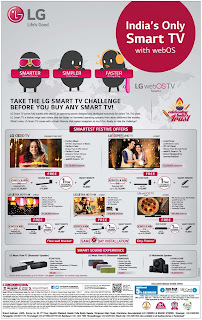 Take the lg smart tv challenge before you buy any smart tv! Lg webos tv smart+ lg smart ,/ comes fully loaded with webos, an operating system designed and developed exclusively for smart tvs. 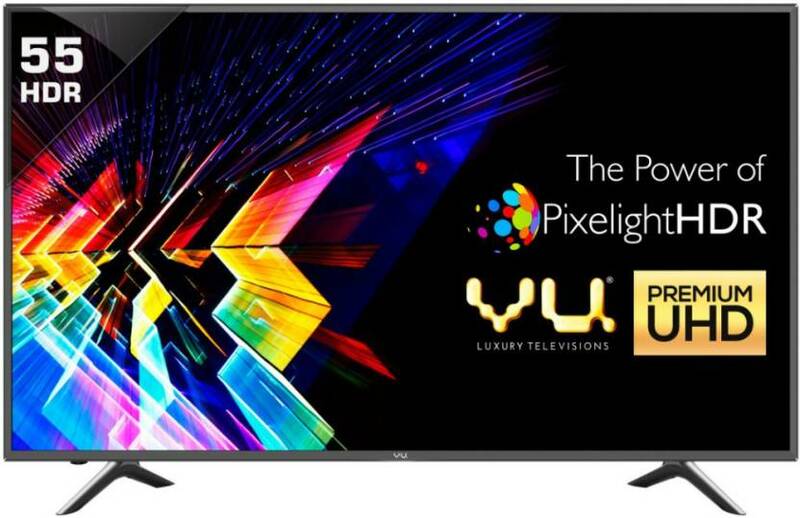 This gives lg smart tv a distinct edge over others that are based on borrowed operating systems from other platforms like mobiles. What's more, lg smart tv comes with a smart remote that makes navigation so much fun. Ready to take the challenge? sound bar assured gift.Buy LG HD tv and get assured gifts of rs 5, 79,900 for Diwali festive season. Additional benefits are: get sound bar up to rs 13990, one year extended warranty and smart remote of worth rs rs 4,990. 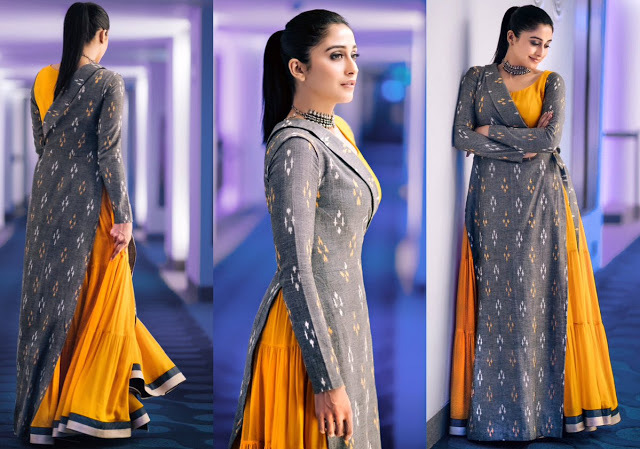 Biggest offers/deals for this Diwali festive season.